UPDATED: Thu., June 30, 2011, 6:51 p.m.
An Idaho State Police trooper who shot a fugitive to death during a pursuit north of Coeur d’Alene in February will not face charges. Trooper Dan Howard was justified when he used deadly force to stop a Jeep that was approaching him after he exited his police car following a collision, the Ada County Prosecutor’s Office said Thursday. Howard fired several shots, six of which hit the Jeep. Investigators believe he was aiming at the driver of the Jeep, Mark M. Maykopet, a fugitive from Butte, but one of the shots hit Maykopet’s wife, 40-year-old Christie Ann Little, alias O’Leary, who also was a fugitive. Little, who was wanted for federal probation violations, was breathing when medics arrived on scene but soon died of her gunshot wound. Maykopet, 25, suffered only minor injuries after being grazed by a bullet. Ada County Deputy Prosecutor Shawna Dunn said Little’s seat was slightly reclined, which led to her being shot even though bullet holes on the Jeep showed Howard was aiming at Maykopet in the driver’s seat. “Her seat was basically in the line of fire between the trooper and the driver,” Dunn said. Dunn said the decision hinged on the “reasonableness standard” - did Howard reasonably believe his life was in danger and was deadly force his only option? Maykopet, alias Mark Macy, told investigators he did not know where Howard was when he quickly reversed the Jeep and said he did not intend to hit him, rather he was trying to turn around to flee the scene. Maykopet told police “that he expected the Trooper to get out of his way and that he intended to continue to flee from the encounter,” according to a report issued Thursday. But Howard told Kootenai County sheriff’s Sgt. Brad Maskell that he believed Maykopet was trying to run him over after first ramming his patrol car. 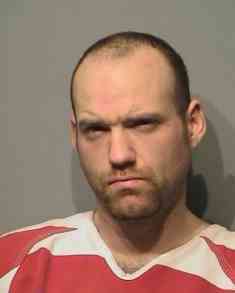 Ada County prosecutors believe the risk the Jeep posed to Howard justified the use of deadly force. Kootenai County prosecutors sent the case to Ada County for review because they will be handling the criminal case against Maykopet, who is in custody in Montana on Department of Corrections charges. Howard had stopped Maykopet on U.S. Highway 95 for speeding. He smelled marijuana and learned Maykopet had an escape warrant for his arrest in Montana, so he waited for another officer to arrive before reapproaching the vehicle. Howard didn’t immediately know Little was a fugitive because she provided a different name. Cpl. Sean Lind arrived and he and Howard asked Mayokpet to step out of the Jeep, but he instead drove away, running at least one stop sign and reaching speeds of nearly 100 mph. Howard followed Maykopet onto Ramsey Road as Lind took another route to try to get in front of the Jeep. Howard’s airbag deployed after the Jeep struck his patrol car, and he was concerned about being visible in the headlights of the Jeep so he left the patrol car and ran to the northbound lane hoping to escape injury. That’s when he saw the Jeep drive in reverse toward him and he fired his gun several times. Mayokpet stopped after realizing Little had been hit. Police found two firearms in the Jeep. Both Maykopet and Little had felony convictions that prohibited them from possessing guns. Published: June 30, 2011, 6:19 p.m. Updated: June 30, 2011, 6:51 p.m.